While you may not know the ins and outs of the position yet, you can certainly be an expert on the information that has been provided to you—we’re talking about the job post! Trace back and find the original job post, application, or flyer and study the details of the position. 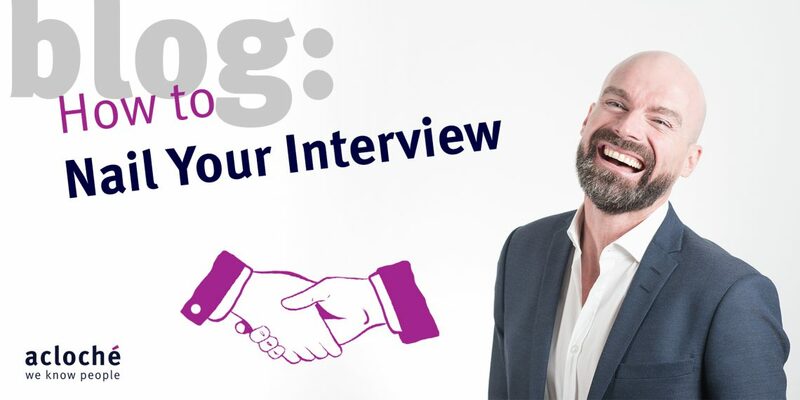 You don’t want to be caught off guard if the person interviewing you asks you questions about the position you applied for! In addition, the posting will have all of the qualities they are looking for in a candidate, and you can make sure to project those qualities to the best of your ability. There’s no harm in printing out the posting itself and bringing it to the interview in case you need to reference it—just make sure it’s carried neatly in a portfolio or folder. So you’re now an expert on the position, but what do you know about the company? Make sure you spend some time diving into information about the company itself! Here’s an easy place to start: Open up the website and head to the “About Us” page. Here you should find a succinct breakdown of what the company does and how it does it. You’ll commonly find things like the company mission statement or philosophy. Do some more digging and typically you can find things like local organizations they support or programs they run. All of these things will give you a good idea about the culture of the company, and can give you a feel if it will be a good fit for you. During the interview, you can mention what you’ve learned about the company, and why it aligns with yourself as a candidate. How can I expect this position to grow or advance in the future? How has the company evolved over the past five years? What are your favorite aspects about working for this company? There’s no shortage questions you can prepare to ask, and during the interview you can decide which ones are going to be relevant at the end. If a question comes up earlier in the interview, jot it down and add it to the list! The old adage of “Dress for the job you want” has stood the test of time. If you are heading into a professional environment, you’ll need to go full business attire—but most positions aren’t strictly like that anymore. A great rule of thumb is never go below business casual, even if you are interviewing for a position where you’ll be in a uniform or a warehouse the majority of the time. For those manual labor jobs, try to throw on a shirt with a collar—a casual polo or button up will do just fine! For women, closed-toe shoes and the same general business casual theme will suffice. Think about it this way: You want to look better than the next person, so just avoid t-shirts, sweatshirts, and athletic wear. You never know what could be the deciding factor between you and another candidate! As mentioned earlier, it’s a wise idea to bring a portfolio or neatly arranged folder with you to the interview. Inside you should have 4=four key components: Copies of your resume; a print out of the job posting; your list of questions; and at least one sheet of lined paper for jotting down notes during the interview. In some cases, you will have had to submit a list of references along with the job application—bring that with you as well! Having these documents at hand can really put you at ease during the interview, and it will show the hiring manager that you’re someone who comes prepared for anything.